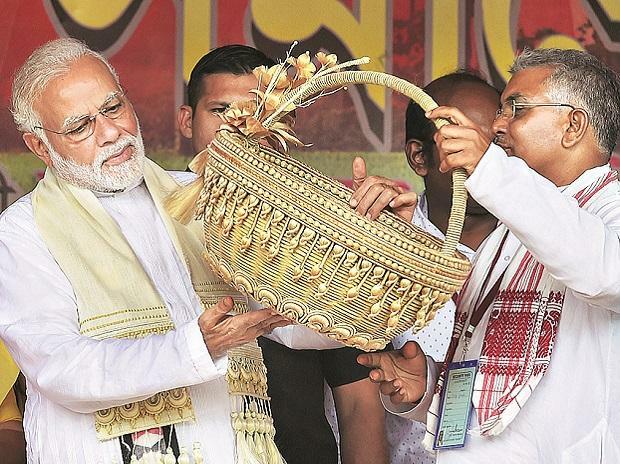 West Bengal BJP chief Dilip Ghosh ruffled a few feathers within his party on Saturday when he said TMC supremo and Chief Minister Mamata Banerjee has the best chance to become the first Bengali prime minister of the country. Extending birthday wishes to her, Ghosh said he prayed her good health and success in life "because the fate of our state depends on her success". "We want her to be fit so that she can work well. She needs to remain fit because if there is any Bengali who has the chance to be the PM from this Bengal, then she is the one," he said. Asked if anyone from his own party's Bengal unit had the chance to be the PM, Ghosh said that Mamata Banerjee was ahead in the race among Bengalis who can become Prime Minister. "We can surely have one from Bengal after her. But she has the first chance. We couldn't have Jyoti Basu as the first Bengali prime minister as his party did not allow him to be," Ghosh said. "We had Pranab Mukherjee from the state as the first Bengali to become President so now it's time to have a Bengali as PM," he added. The statement came as a shocker for the state BJP as it is engaged in a bitter fight against the TMC in the state.